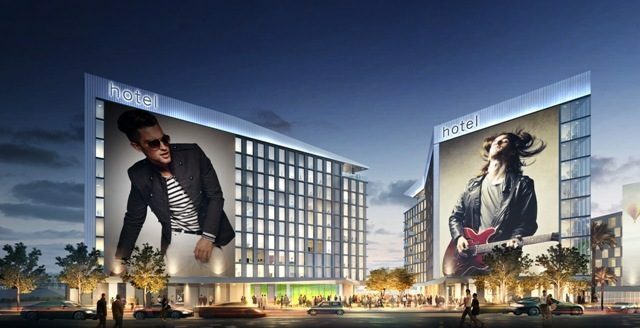 West Hollywood’s First Ground-Up Hotel in 30 Years to Occupy the City’s Most Coveted Development Site! 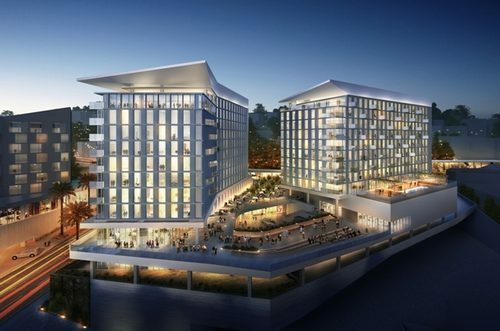 In the heart of the iconic Sunset Strip, the hotel will be Two, 10-Story Towers, 286 Rooms, 2 Restaurants, bars in the lobby and roof, 10,000 Square Feet of space for meetings. 2 More towers (8-stories)on the East side of the intersection with 190 residential units will also have 40,000 Square Feet of Retail Space- with amazing views of the Los Angeles area. The James brand was selected because it brings an inspired guest experience to West Hollywood and the Greater Los Angeles area. The Hotel’s attention to detail and premier amenities compliments the distinctive project and legendary location. The investor is the largest Commercial Real Estate owner in Hollywood. Sunset La Cienega is surrounded by the many retail, restaurant and entertainment venues in West Hollywood, and will feature plazas and public spaces designed to enhance the pedestrian experience on the Sunset Strip. The hotel is built with warm, modern design, and enriching the guest experience through authentic, local cultural experiences and intuitive service. 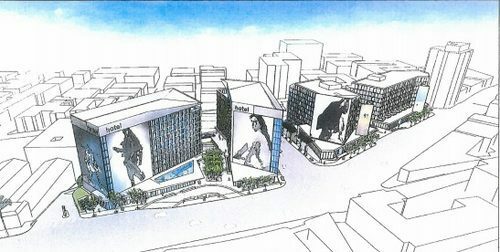 As a brand, The James is mindful of the needs of the neighbors, and looks forward to becoming an integral part of the West Hollywood community.